Unparalleled energy saving, optimised speed control, simple start-up, and versatility. Offering an integrated web server and 100Mbit Ethernet TCP/IP connectivity as standard, in addition to existing network options, the FR-F800-E provides increased capabilities within remote system monitoring and parameter adjustment, as well as easy integration into existing network environments. Through a unique algorithm we are able to accurately detect the fan or pump curve of the attached load and alarm when the load falls outside of adjustable limits. This means that we can detect for example, jammed pumps, dirty impellers or broken belts. Because we utilise this method of detection, nuisance trips that are associated with other systems are avoided. 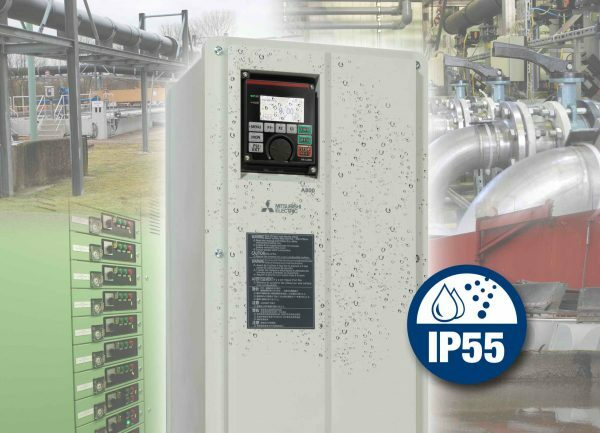 In the case of pumps, cleaning cycles can be carried out automatically or with user intervention. The motor preheat function can be used to avoid moisture collecting on the motor windings in periods of inactivity and prior to motor start up. This can also be used to reduce condensation, or freezing of a pump station. Vibration due to natural resonance can be compensated by this function, extending mechanical life of the system. In cases of emergencies such as fires, continuing to drive the extraction or pressurisation fan motor is often the highest priority. This function can be used to allow the drive to continue to operate the motor until destruction, ignoring protective functions even if the inverter detects a fault. 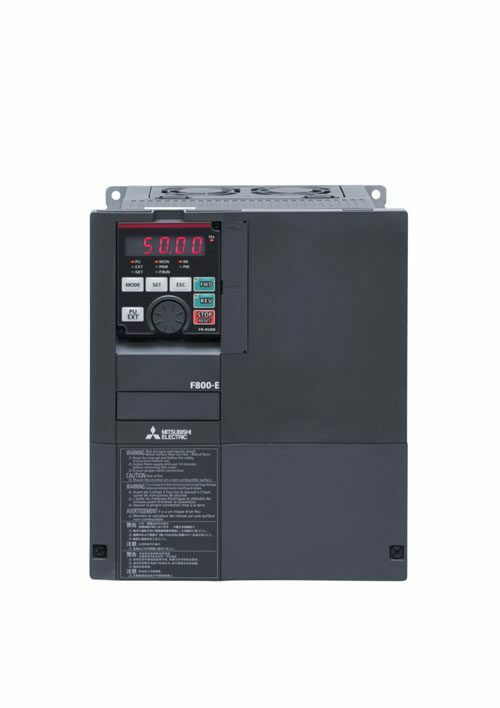 All Mitsubishi Electric drives allow the user to save energy, however the FR‑F800 has many dedicated functions that allow for even more efficiency. For example, we have developed a tuning algorithm called AOEC, Advanced Optimum Excitation Control. This feature means that energy saving can be maximised even for loads that require high torque for acceleration or deceleration. For example, the drive is able to control the external cooling fans through the built in environmental temperature detection, maximising system efficiency. This also reduces the ingress of external air which may be polluted. 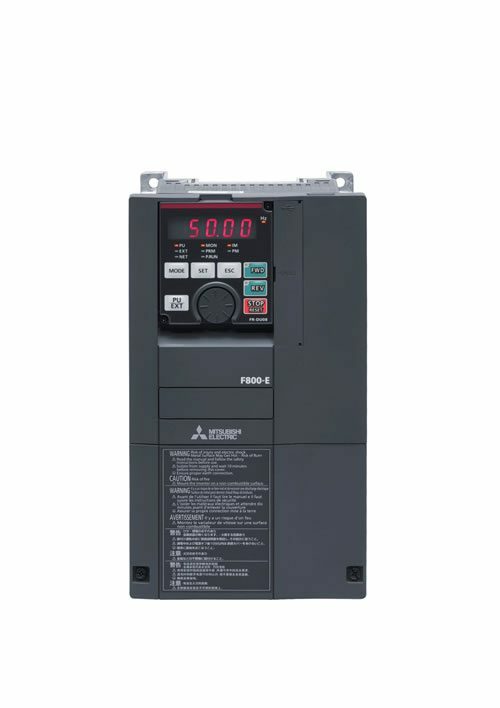 Similar to the start/stop function used in modern cars, the FR‑F800 series drives feature the ability that all unnecessary circuits are shut down during standby to reduce energy usage, so only 24 VDC is supplied to keep control alive. Restart happens within 1 second, meaning there is no effect on system availability. The effect of energy saving can be distributed by network or display. At Mitsubishi Electric we believe the customer should be free to select the most suitable motor for the application. Due to this request, we have implemented simple autotuning with best performance in the new FR‑F800, allowing connection of IM or PM motors. 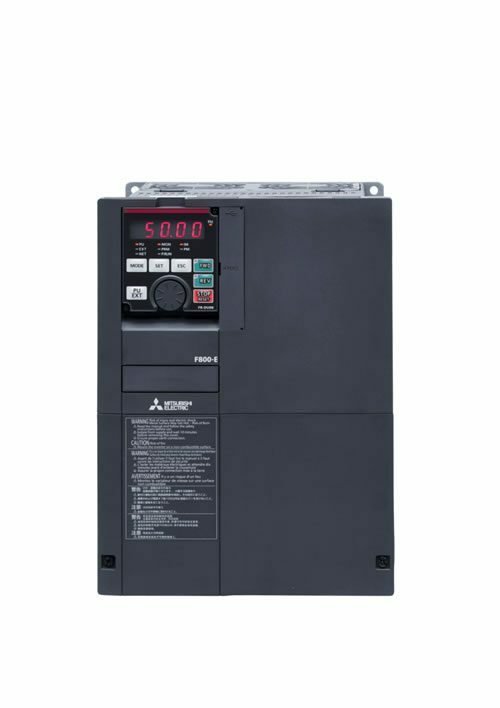 Based on this, customers are able to plug and play, and reach high system reliability and efficiency. The FR‑F800 series has a two-channel emergency stop for safe shutdown. This ensures safe operation in compliance with the European Machinery Directive. The FR‑F800 thus conforms to the EN ISO13849-1/PLd cat. 3, EN 61508 and EN 61800-5-2 SIL2 standards. The password functionality of the FR‑F800 allows you to restrict access via the parameter unit, network, and the PLC function. Built-in 6K step PLC function allows the drive to be customized to individual requirements and can avoid the need to have a separate master. The PLC function can be expanded by I/O option cards. The PLC can also manage non-drive related functions, e.g. management of warning lights, valves, heaters etc. Mitsubishi Electric has included the following functions to ensure the long life and maximum availability of the drive. 3-wire fan – if the cooling fan speed falls below 50% the drive gives a pre-alarm. This will enable the service engineer to easily inspect/change the top mounted fans. Inrush circuit counter – We measure the number of times that the drive has been mains power cycled. 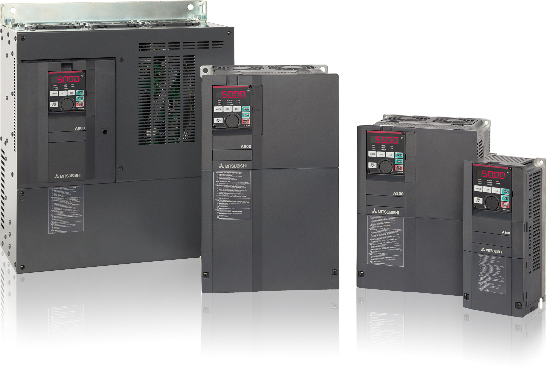 Constant power cycling can shorten the life expectancy of a VFD. Capacitor dielectric strength measurement is available to help you to plan exchange before performance of the system is reduced. The built-in graphical trace function allows you to select 8 out of 72 channels, to easily find what happened before and after an alarm. Data can be automatically stored on a commercial USB stick, e.g. 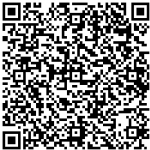 for mailing the data to technical support for further investigation. Our quality is at the highest level amongst drive manufacturers. It is something we pride ourselves on at Mitsubishi Electric. To give the user the peace of mind and to show our commitment to end user satisfaction, the FR‑F800 is offered with a free of charge 3 year warranty.